We love rice at our house and we eat a lot of Tex Mex food. I live in Texas…. who doesn’t love Tex Mex? 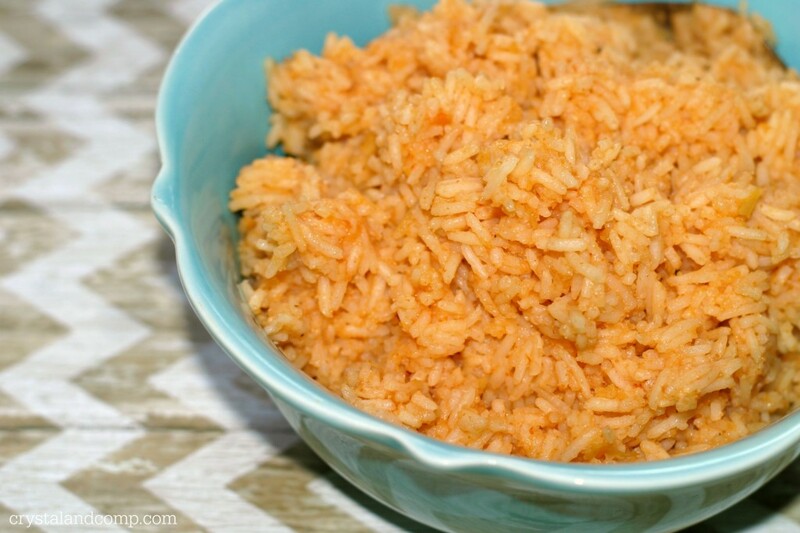 Over the weekend I needed a quick and easy solution for making some simple Spanish rice. I needed to use what I had on hand and I did not feel like making our typical Puerto Rican Rice as I am trying hard to watch my daily calorie intake. 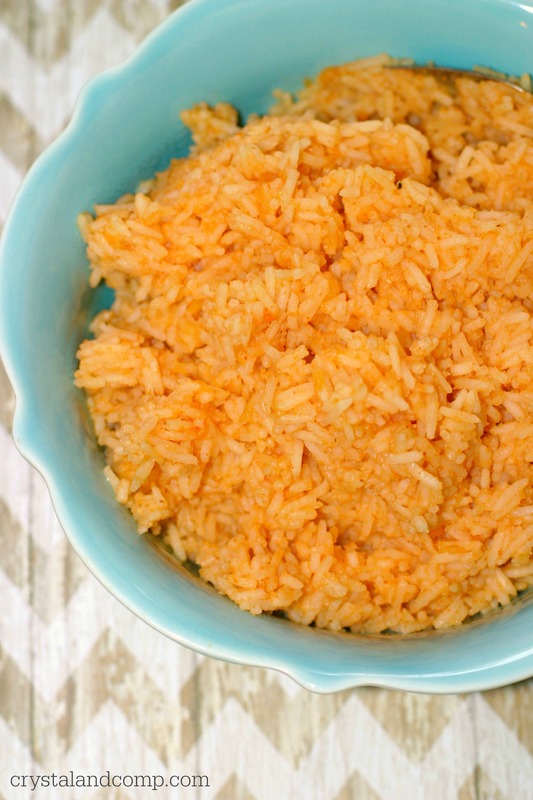 This Spanish rice is so simple and packed full of flavor! While you’re here check out all of my easy recipes that are perfect for busy families. 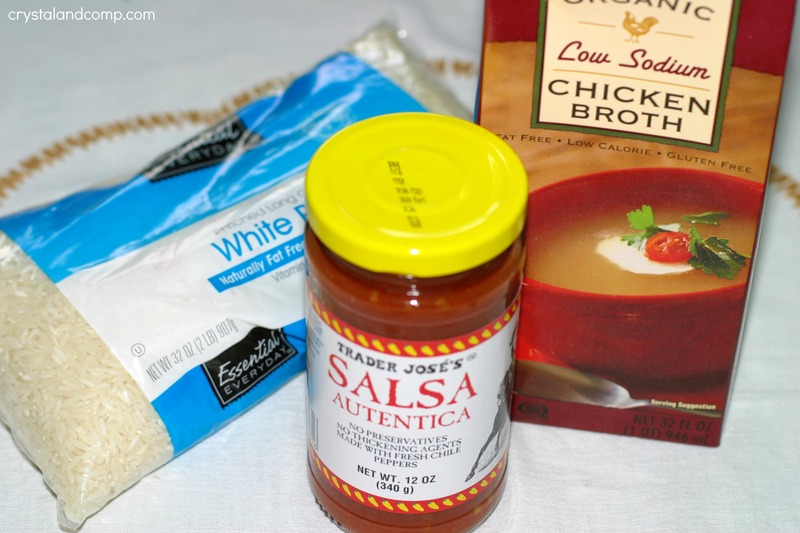 Add your chicken broth and salsa to a sauce pan. Bring it to a boil. Rinse your rice and then add it to the liquid mixture. Bring the mixture back to a boil, stirring occasionally. Then turn the heat to low and pop a lid on it. This is a super easy and delicious as a side. I served it in small corn tortillas with pinto beans, lettuce, tomatoes, cheese and a dollop of sour cream. My husband is a rice snob and he love this. The salsa gives so much flavor and is a great alternative to many seasonings.